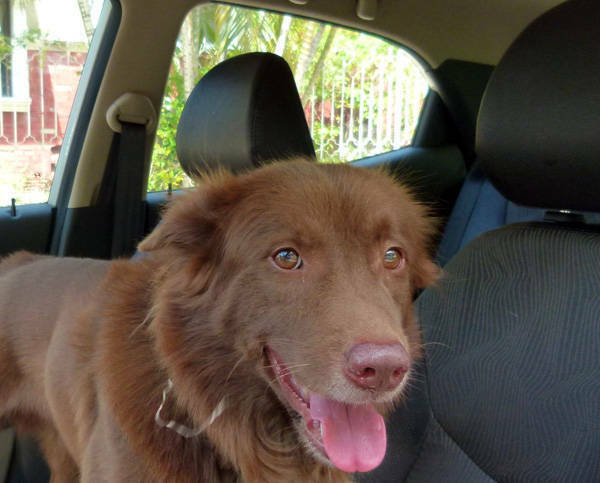 With apologies to Hyundai Asia Resources Inc. (HARI), which invited me to test their littlest car in the first place, but the more I thought of my dog, the more I liked their car. Strange, but true. You see, my first hour with the Hyundai Eon wasn't very promising. The car was a bit scruffy as it had sat out a weekend next to a construction site (a misunderstanding had me picking up the car two days after it had been prepped), and it was an instant bully magnet on EDSA. 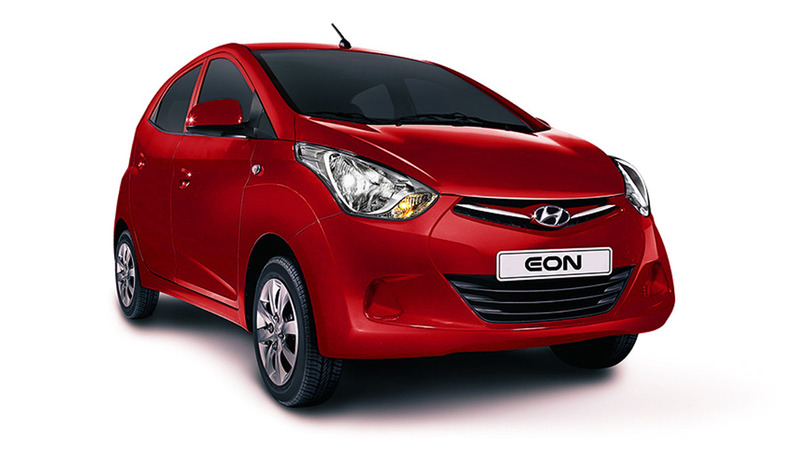 Small, entry-level cars like the Eon just don't get any respect from taxis, jeeps and errant messengers with their zippy little underbones. The three-cylinder "engine" (if you could call it that) made a weird sort of grinding-gnashing-moaning sound not unlike my blender. The stick shift kept vibrating in neutral and in gear, and the vague, loosey-goosey steering didn't inspire confidence. Then something happened the next day: I took my dog for a run. Now, my dog is not a fancy breed. "Magnum" is a plain ol' mongrel. I won't even sugarcoat it and call him an "AsPin." He's an askal, with all the good and the bad. Like the Eon, Magnum came into my life in dire need of a bath. He looked a lot better after a scrub, just like the Eon. His engine isn't that big either, but he's got heart. When I first took him running, the poor dog was dying after 2km, but now he can go for 10km with only minor difficulty. I hate my dog the first 5 minutes of the run, but I love him to bits when we're done. Back to the Eon. Somehow, a connection had been made. 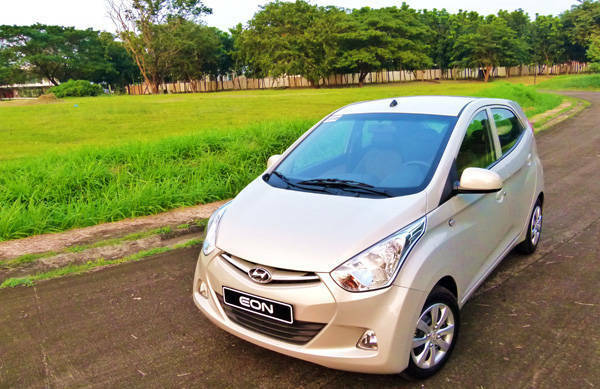 The Eon's three-banger engine makes all of 56hp, but does so willingly (if not smoothly). Hell, even my dog wheezes and whines the first 10 minutes but eventually settles down after he's warmed up. And just like the Eon, my dog is all over the street the moment we step out of the house. I swear I've called him all sorts of names every time he's tugged, pulled and sprinted to the nearest street pole, car and bush he can piss, poop and sniff at. Eventually, when we've both calmed down, he actually can run straight and true, except when he gets bullied by other dogs. It's embarrassing how he gets spooked out by chihuahuas and poodles. So, I kept thinking of my dog every moment I was steering the Eon on its second day with me. Suddenly, the vibrating shifter reminded me of a wagging tail. Relaxing my grip on the steering wheel felt like how I keep a light pressure on the leash to calm my dog down. It's not fast by any measure, but it's not lazy-dog slow. I had a beagle before and it nearly died jogging 15 minutes with me. Pretty dog, but a slacker. The Eon's low operating costs (more than 20km/L, according to HARI) reminded me of how cheap it costs to feed and care for my dog. In six years (42 in dog years), Magnum has never needed to visit the vet apart from the usual shots. And he's just happy to get some love from me every time I bring him some leftovers to spice up his usual chow. The car's simple engineering means it should similarly be cheap to maintain, yet imagine how happy an Eon could be if you splurge once in a while for Shell Nitro Racing. Or (gasp) buy it a set of flashy wheels to replace the cheap steel set. Check out this neat setup from the Manila Auto Salon, by the way. And yeah, it seats five in a (painful?) pinch and has enough room for a couple of soft bags. It's also fascinating how the Eon just charms everyone who stops to give it a once-over. Those cute haunches, those baleful headlights stare at me the way my dog looks at me with gooey eyes. Not bad at all for an entry-level car. And the interior clearly had some thought put into it, too. It even goes one better than my dog because, oh yes, it actually has a pedigree. "That car only costs that much?" my neighbor marveled. 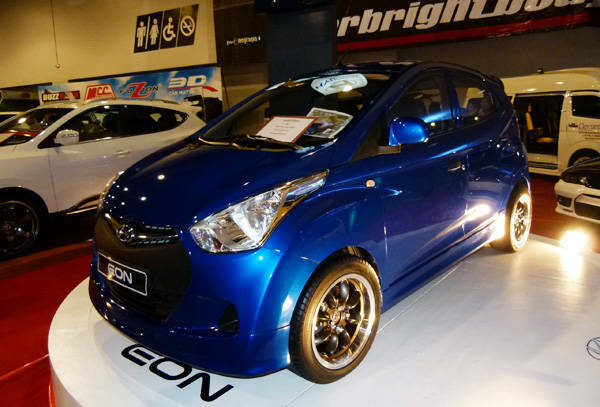 At a little less than half a million for an Eon with an airbag, foglamps and a decent stereo, you're still getting what you pay for. The fit and finish are better than you'd expect in this class of car, but "entry-level" will always have its limitations. I honestly wouldn't expect anyone to fall head over heels for one right away, but I wouldn't be surprised if it grew on them over time like it did for me. 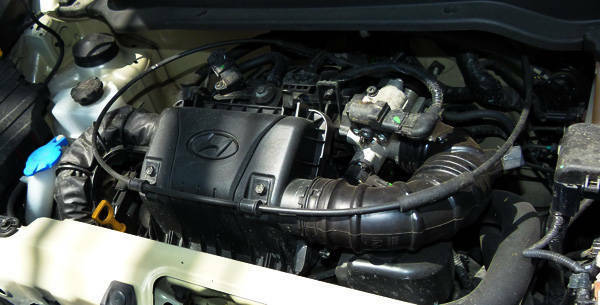 Like Magnum, Hyundai's little runt can do just fine, and I suspect people who bought it felt that connection, too.